This is the portion of the discussion in a series of articles that began with signaling and signaling pathways. There are features on the functioning of enzymes and proteins, on sequential changes in a chain reaction, and on conformational changes that we shall return to. These are critical to developing a more complete understanding of life processes. I have indicated that many of the protein-protein interactions or protein-membrane interactions and associated regulatory features have been referred to previously, but the focus of the discussion or points made were different. Even though I considered placing this after the discussion of proteins and how they play out their essential role, I needed to lay out the scope of metabolic reactions and pathways, and their complementary changes. These may not appear to be adaptive, if the circumstances and the duration is not clear. The metabolic pathways map in total is in interaction with environmental conditions – light, heat, external nutrients and minerals, and toxins – all of which give direction and strength to these reactions. I shall again take from Wikipedia, as needed, and also follow mechanisms and examples from the literature, which give insight into the developments in cell metabolism. A developing goal is to discover how views introduced by molecular biology and genomics don’t clarify functional cellular dynamics that are not related to the classical view. The work is vast. The most important carbohydrate is glucose, a simple sugar (monosaccharide) that is metabolized by nearly all known organisms. 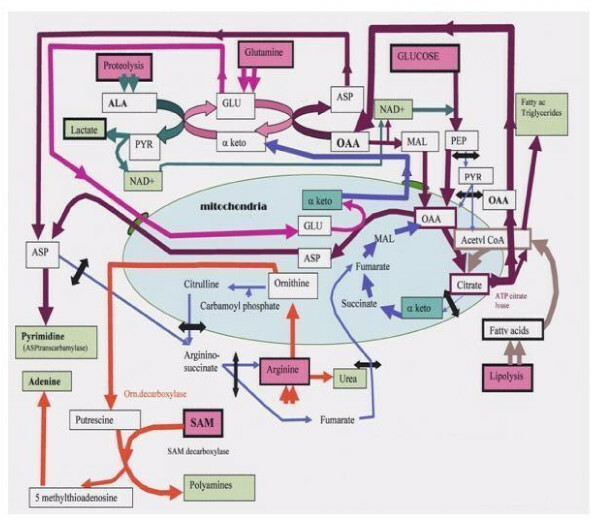 Glucose and other carbohydrates are part of a wide variety of metabolic pathways across species: plants synthesize carbohydrates from carbon dioxide and water by photosynthesis storing the absorbed energy internally, often in the form of starch or lipids. Plant components are consumed by animals and fungi, and used as fuel for cellular respiration. Oxidation of one gram of carbohydrate yields approximately 4 kcal of energy and from lipids about 9 kcal. Energy obtained from metabolism (e.g. oxidation of glucose) is usually stored temporarily within cells in the form of ATP. Organisms capable of aerobic respiration metabolize glucose and oxygen to release energy with carbon dioxide and water as byproducts. Complex carbohydrates contain three or more sugar units linked in a chain, with most containing hundreds to thousands of sugar units. They are digested by enzymes to release the simple sugars. I shall not go into the digestion, breakdown and absorption of these sugar molecules. Carbohydrates are used for short-term fuel, and the most important is glucose. Even though they are simpler to metabolize than fats or those amino acids (components of proteins) that can be used for fuel, they do not produce as effect an energy yield measured by ATP. In animals, The concentration of glucose in the blood is linked to the pancreatic endocrine hormone, insulin. Carbohydrates are typically stored as long polymers of glucose molecules with glycosidic bonds for structural support (e.g. chitin, cellulose) or for energy storage (e.g. glycogen, starch). However, the strong affinity of most carbohydrates for water makes storage of large quantities of carbohydrates inefficient due to the large molecular weight of the solvated water-carbohydrate complex. In most organisms, excess carbohydrates are regularly catabolised to form acetyl-CoA, which is a feed stock for the fatty acid synthesis pathway; fatty acids, triglycerides, and other lipids are commonly used for long-term energy storage. The hydrophobic character of lipids makes them a much more compact form of energy storage than hydrophilic carbohydrates. However, animals, including humans, lack the necessary enzymatic machinery and so do not synthesize glucose from lipids, though glycerol can be converted to glucose. Glycolysis – the metabolism of glucose molecules to obtain ATP and pyruvate by way of first splitting a six-carbon into two three csrbon chains, which are converted to lactic acid from pyruvate in the lactic dehydrogenase reaction. The reverse conversion is by a separate unidirectional reaction back to pyruvate after moving through pyruvate dehydrogenase complex. Glycogenolysis – the breakdown of glycogen into glucose, which provides a glucose supply for glucose-dependent tissues. Glycogenolysis in liver provides circulating glucose short term. Glycogenolysis in muscle is obligatory for muscle contraction. The pentose phosphate pathway (shunt) converts hexoses into pentoses and regenerates NADPH. NADPH is an essential antioxidant in cells which prevents oxidative damage and acts as precursor for production of many biomolecules. Glycogenesis – the conversion of excess glucose into glycogen as a cellular storage mechanism; achieving low osmotic pressure. Gluconeogenesis – de novo synthesis of glucose molecules from simple organic compounds. An example in humans is the conversion of a few amino acids in cellular protein to glucose. Metabolic use of glucose is highly important as an energy source for muscle cells and in the brain, and red blood cells. The hormone insulin is the primary glucose regulatory signal in animals. It mainly promotes glucose uptake by the cells, and causes liver to store excess glucose as glycogen. Its absence turns off glucose uptake, reverses electrolyte adjustments, begins glycogen breakdown and glucose release into the circulation by some cells, begins lipid release from lipid storage cells, etc. The level of circulatory glucose (known informally as “blood sugar”) is the most important signal to the insulin-producing cells. Because the level of circulatory glucose is largely determined by the intake of dietary carbohydrates, diet controls major aspects of metabolism via insulin. In humans, insulin is made by beta cells in the pancreas, fat is stored in adipose tissue cells, and glycogen is both stored and released as needed by liver cells. Regardless of insulin levels, no glucose is released to the blood from internal glycogen stores from muscle cells. The hormone glucagon, on the other hand, opposes that of insulin, forcing the conversion of glycogen in liver cells to glucose, and then release into the blood. Muscle cells, however, lack the ability to export glucose into the blood. 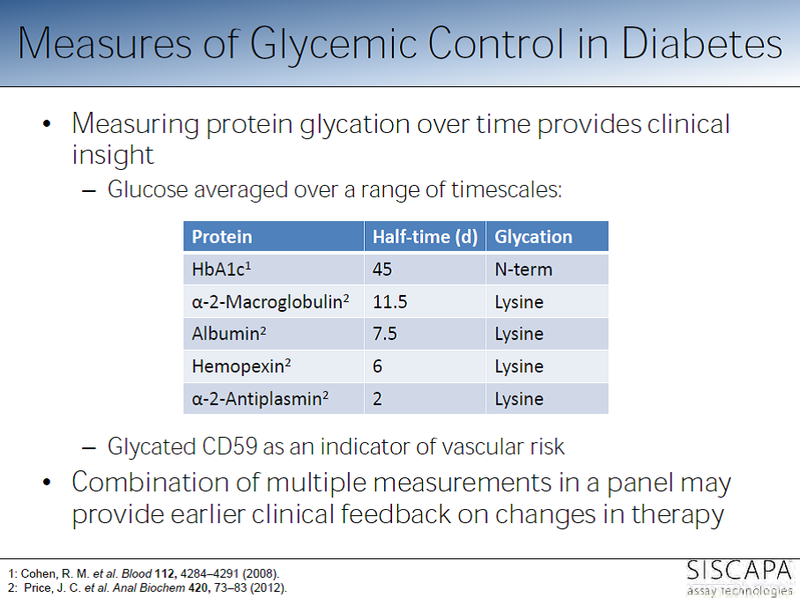 The release of glucagon is precipitated by low levels of blood glucose. Other hormones, notably growth hormone, cortisol, and certain catecholamines (such as epinepherine) have glucoregulatory actions similar to glucagon. These hormones are referred to as stress hormones because they are released under the influence of catabolic proinflammatory (stress) cytokines – interleukin-1 (IL1) and tumor necrosis factor α (TNFα). Catabolic proinflammatory cytokines. Argilés JM1, López-Soriano FJ. Curr Opin Clin Nutr Metab Care.1998 May;1(3):245-51. Tumor necrosis factor as a mediator of shock, cachexia and inflammation. Cerami A. Blood Purif. 1993; 11(2):108-17. Mediators of cytokine-induced insulin resistance in obesity and other inflammatory settings. Marette A. Curr Opin Clin Nutr Metab Care. 2002 Jul; 5(4):377-83. Proinflammatory cytokines and skeletal muscle. Späte U1, Schulze PC. Curr Opin Clin Nutr Metab Care. 2004 May;7(3):265-9. Insulin-like growth factor-1 and muscle wasting in chronic heart failure. Schulze PC, Späte U. Int J Biochem Cell Biol. 2005 Oct; 37(10):2023-35. IGF-I stimulates muscle growth by suppressing protein breakdown and expression of atrophy-related ubiquitin ligases, atrogin-1 and MuRF1. Sacheck JM, Ohtsuka A, McLary SC, Goldberg AL. Am J Physiol Endocrinol Metab. 2004 Oct; 287(4):E591-601. Epub 2004 Apr 20. Cellular respiration involves breaking the bonds of glucose to produce energy in the form of ATP (adenosine triphosphate). The total energy produced during glucose metabolism is described at Energetics of Cellular Respiration. Glycolysis is the most critical phase in glucose metabolism during cellular respiration. The term “glycolysis” literally means breakdown of glucose and sugars. Biochemically, it involves the breakdown of glucose to pyruvate (or pyruvic acid) via a series of enzymes. Glycolysis does not require molecular oxygen and is hence considered anaerobic. Therefore, it is a common pathway for all living organisms. Kreb’s cycle in the stages of cellular respiration. 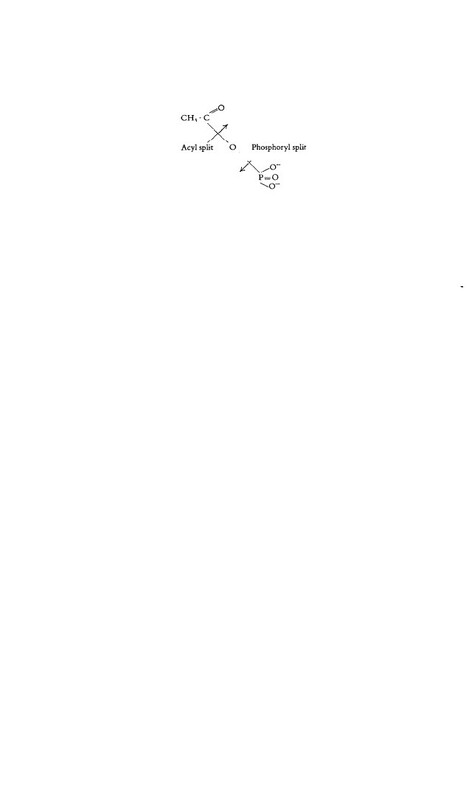 Note – The animation is best played in full screen. To go forward in the animation, press the Play button. To skip the whole section press the forward button. To go back press the rewind button. In this stage of the cycle, ATP or energy is actually consumed and is hence also known as the investment phase of glycolysis. Step 1, involves the conversion of glucose to glucose-6-phosphate (G6P) with the help of the enzyme hexokinase and the consumption of 1 molecule of ATP. This reaction helps keep the concentration of glucose low in the cell, allowing for more absorption of glucose into it. Additionally, G6P is not transported out of the cell as there are no G6P transporters on the cell. Step 2 involves the rearrangement of glucose-6-phosphate to fructose-6-phosphate (F6P) with the help of the enzyme phosphohexose isomerase in a reversible manner. 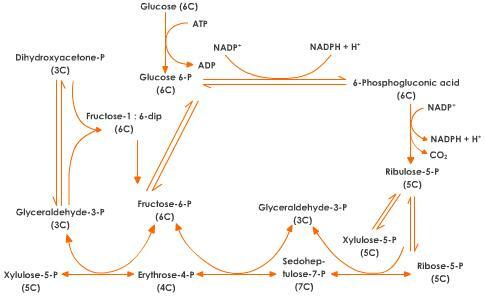 Fructose can directly enter the glycolysis pathway at this point. This isomerization to a keto-sugar such as fructose is essential for carbanion stabilization required for the next step. 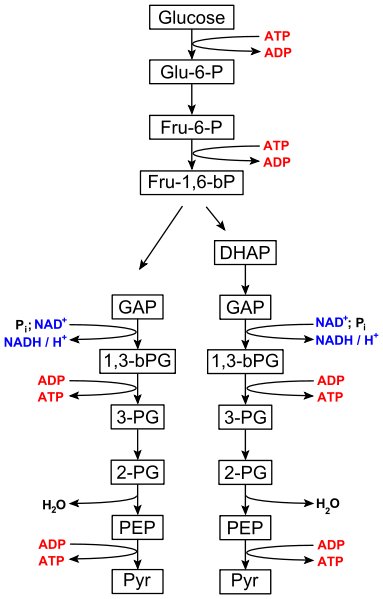 Step 3 involves the phosphorylation of fructose-6-phosphate to fructose-1,6-biphosphate (F1,6BP) by the use of 1 molecule of ATP and the enzyme phosphofructokinase-1 (PPK1). This phosphorylation step destabilizes the molecule and helps drive the next reaction which ensures breakdown of the molecule to a 3-carbon unit. Step 4 involves the breakdown of fructose-1,6-biphosphate (6 carbons) to two molecules of 3-carbon units i.e. glyceralde 3-phosphate (GADP) and Dihydroxyacetone phosphate (DHAP). The GADP can be interconverted to DHAP by enzyme triose phosphate isomerase. In this stage of the cycle, ATP or energy is produced either in the form of ATP alone or in the form of NADH + H+ which can be later converted to ATP via the electron transport chain (ETS). In this since energy is restored it is known as the pay-off phase of glycolysis. All steps in this phase occur with 2 molecules of the substrates each as indicated in the brackets by the name of the molecules. Step 1, involves the dehydrogenation of glyceraldehyde-3-phosphate (GADP) to 1,3-biphophoglycerate (1,3BPG) by the use of 2 molecules of inorganic phosphate (Pi) with the production of 2 molecules of NADH + H+ in the presence of the enzyme glyceraldehyde 3-phosphate dehydrogenase. Step 2, in this step dephosphorylation of 1,3-biphosphoglycerate (1,3BPG) to 3-phospoglycerate (3PG) produces 2 molecules of ATP by the enzyme phosphoglycerate kinase. Step 3, involves the isomerisation of 3-phosphoglycerate (3PG) to 2-phosphoglycerate (2PG) by the enzyme phosphoglycerate mutase in a reversible manner. Step 4 involves the enolization of 2-phosphoglycerate (2PG) to phosphoenolpyruvate (PEP) with the loss of one molecule of water in the presence of enzyme enolase. Step 5 is the final step of the glycolysis pathway and it involves the dephosphorylation of the phosphoenolpyruvate (PEP) to pyruvate by enzyme pyruvate kinase to produce 2 more molecules of ATP. The pay-off phase produces 4 ATP. The pay-off phase also produces 2 molecules of NADH + H+ which can be further converted to a total of 5 molecules of ATP* by the electron transport chain (ETC) during oxidative phosphorylation. Thus the net yield during glycolysis is 7 molecules of ATP. * This is calculated assuming one NADH molecule gives 2.5 molecules of ATP during oxidative phosphorylation. David L. Nelson and Michael M. Cox, Lehninger Principles of Biochemistry, 4th Ed. Jeremy M. Berg, John L. Tymockzo and Luber Stryer, Biochemistry, 7th Ed. Cellular respiration involves 3 stages for the breakdown of glucose – glycolysis, Kreb’s cycle and the electron transport system. The total energy produced during glucose metabolism is described at Energetics of Cellular Respiration. We have seen the glycolysis pathway with animation previously. The Kreb’s cycle is named after Adolf Krebs who studied the utilization of oxygen in a pigeon. It is also commonly known as the citric acid cycle or the tricarboxylic acid cycle. Kreb’s cycle is a very important step in the metabolic pathway as it produces about 60-70% of ATP for release of energy in the body. It directly or indirectly connects with all the other individual pathways in the body too. It takes place in the mitochondria as all the enzymes and co-enzymes required are present there. Glycolysis of 1 molecule of glucose produces 2 molecules of pyruvate. 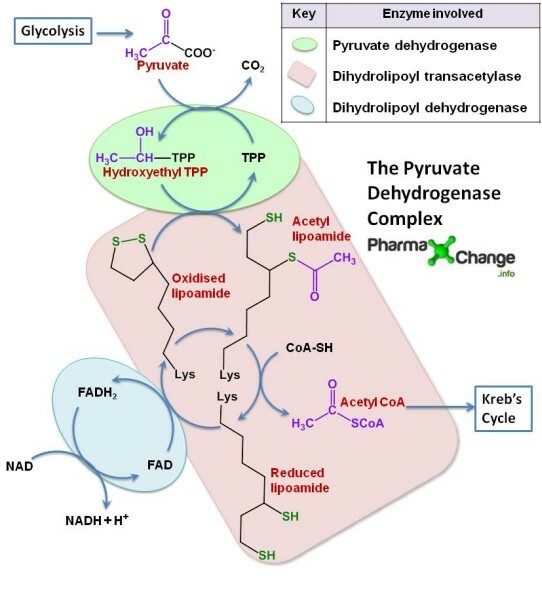 Each pyruvate in the presence of pyruvate dehydrogenase (PDH) complex in the mitochondria gets converted to acetyl CoA which in turn enters the Kreb’s cycle. This reaction is called as oxidative decarboxylation as the carboxyl group is removed from the pyruvate molecule in the form of CO2 thus yielding 2-carbon acetyl group which along with the coenzyme A forms acetyl CoA. The pyruvate dehydrogenase complex (PDH) comprises of three enzymes – pyruvate dehydrogenase, dihydrolipoyl transacetylase and dihydrolipoyl dehydrogenase each one playing an important role in the reaction as shown below. The PDH requires the sequential action of five co-factors or co-enzymes for the combined action of dehydrogenation and decarboxylation to take place. These five are TPP (thiamine phosphate), FAD (flavin adenine dinucleotide), NAD (nicotinamide adenine dinucleotide), coenzyme A (denoted as CoA-SH at times to depict role of -SH group) and lipoamide. Pyruvate reacts with the TPP (Thiamine Phosphate) bound part of pyruvate dehydrogenase and undergoes decarboxylation to give hydroxyethyl-TPP. This hydroxyethyl-TPP in turn gets oxidised to acetyl lipoamide by the same enzyme pyruvate dehydrogenase by the transfer of two electrons. These electrons then reduce the disulfide bond of the enzyme dihydrolipoyl transacetylase with the transfer of the acetyl group as highlighted in purple. Dihydrolipoyl transacetylase catalyses the transesterification forming acetyl CoA by transfer of acetyl group to coenzyme A. When acetyl CoA is being formed, at the same time reduced lipoamide is getting converted to oxidised lipoamide due to enzyme dihydrolipoyl dehydrogenase by the transfer of 2 hydrogen atoms to FAD. Dihydrolipoyl dehydrogenase transfers the reduced equivalents (2 hydrogen atoms) to FAD thus forming FADH2. FADH2 in turn transfers a hydride ion to NAD+ to form NADH+H+. 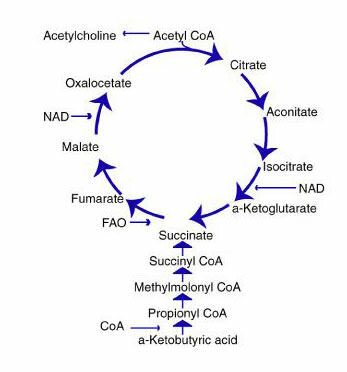 The acetyl CoA produced from the pyruvate dehydrogenase complex enters the Kreb’s cycle. The animation below describes the Kreb’s cycle in detail followed by the discussion. A static image of the cycle can be found next to the discussion for reference. Press the play button to progress in the animation. The Kreb’s Cycle or Citric Acid Cycle or Tricarboxylic Acid Cycle in a static image version of the animation. Acetyl CoA condenses with oxaloacetate (4C) to form a citrate (6C) by transferring its acetyl group in the presence of enzyme citrate synthase. The CoA liberated in this reaction is ready to participate in the oxidative decarboxylation of another molecule of pyruvate by PDH complex. Citrate is then isomerised to Isocitrate by the enzyme aconitase through the formation of the intermediate cis-aconitate. This is a reversible reaction as aconitase has an iron-sulfur center which can promote reversible addition of H2O to the double bond of enzyme-bound cis-aconitate in 2 different ways, one forming citrate and the other isocitrate. Isocitrate undergoes oxidative decarboxylation by the enzyme isocitrate dehydrogenase to form oxalosuccinate (intermediate- not shown) which in turn forms α-ketoglutarate (also known as oxoglutarate) which is a five carbon compound. CO2 and NADH are released in this step. α-ketoglutarate (5C) undergoes oxidative decarboxylation once again to form succinyl CoA (4C) catalysed by the enzyme α-ketoglutarate dehydrogenase complex. α-ketoglutarate dehydrogenase complex is similar to PDH complex and is made up of 3 enzymes and is dependent on five co-enzymes TPP, FAD, NAD, bound lipoate and conenzyme A. In this step once again NADH and CO2 are liberated. So in all 2 molecules of NADH and 2 molecules of CO2 is produced till now. Succinyl CoA is then converted to succinate by succinate thiokinase or succinyl coA synthetase in a reversible manner. This reaction involves an intermediate step in which the enzyme gets phosphorylated and then the phosphoryl group which has a high group transfer potential is transferred to GDP to form GTP. This GTP is converted to ATP by the enzyme nucleoside diphosphate kinase by donating its phosphoryl group to ADP. This reaction which involves the formation of GTP is a substrate level phosphorylation as it happens by using the energy formed by the oxidative decarboxylation of α-ketoglutarate. Succinate then gets oxidised reversibly to fumarate by succinate dehydrogenase. The enzyme contains iron-sulfur clusters and covalently bound FAD which when undergoes electron exchange in the mitochondria causes the production of FADH2. Fumarate is then by the enzyme fumarase converted to malate by hydration(addition of H2O) in a reversible manner. Malate is then reversibly converted to oxaloacetate by malate dehydrogenase which is NAD linked and thus produces NADH. The oxaloacetate produced is now ready to be utilized in the next cycle by the citrate synthase reaction and thus the equilibrium of the cycle shifts to the right. * Note- This is calculated as 2.5 ATP per NADH and 1.5 ATP per FADH2. This is because there are multiple electron transport shuttle pathways through which these can be broken to ATP. Availability of ADP: ADP is a key substrate which finally gets converted to ATP that is essential for the energetics of the cell. A drop in ADP levels would result in inhibition of the electron transport system leading to accumulation of NADH and FADH2. These in turn inhibit the enzymes below. Citrate Synthase: inhibited by ATP, acetyl CoA, NADH, and succinyl CoA. Isocitrate Dehydrogenase: activated by ADP, and inhibited by NADH and ATP. α-ketoglutarate dehydrogenase: inhibited by NADH and succinyl CoA. Important Note: The NADH formed in the cytosol can yield variable amounts of ATP depending on the shuttle system utilized to transport them into the mitochondrial matrix. This NADH, formed in the cytosol, is impermeable to the mitochondrial inner-membrane where oxidative phosphorylation takes place. Thus to carry this NADH to the mitochondrial matrix there are special shuttle systems in the body. The most active shuttle is the malate-aspartate shuttle via which 2.5 molecules of ATP are generated for 1 NADH molecule. This shuttle is mainly used by the heart, liver and kidneys. The brain and skeletal muscles use the other shuttle known as glycerol 3-phosphate shuttle which synthesizes 1.5 molecules of ATP for 1 NADH. Note: The above calculations are done considering that one NADH molecules produces 2.5 ATP and one FADH2 molecule produces 1.5 ATP in the ETS cycle (See full reasoning above). 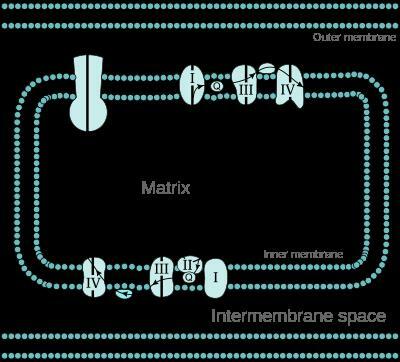 This is because the Kreb’s cycle occurs within the mitochondria and therefore does not require any shuttle pathway for the transport of the NADH into the mitochondrial matrix. Hence there is optimal conversion of NADH to ATP. After my apprenticeship with Otto Meyerhof, a first interest on my own became the phenomenon we call the Pasteur effect, this peculiar depression of the wasteful fermentation in the respiring cell. By looking for a chemical explanation of this economy measure on the cellular level, I was prompted into a study of the mechanism of pyruvic acid oxidation, since it is at the pyruvic stage where respiration branches off from fermentation. For this study I chose as a promising system a relatively simple looking pyruvic acid oxidation enzyme in a certain strain of Lactobacillus delbrueckii1. I had to switch to a bicarbonate buffer instead of the otherwise routinely used In bicarbonate, to my surprise, as shown in Fig. 1, pyruvate oxidation was very slow, but the addition of a little phosphate caused a remarkable increase in rate. The next figure, Fig. 2, shows the phosphate effect more drastically, using a preparation from which all phosphate was removed by washing with acetate buffer. Then it appeared that the reaction was really fully dependent on phosphate. In spite of such a phosphate dependence, the phosphate balance measured by the ordinary Fiske-Subbarow procedure did not at first indicate any phosphorylative step. Nevertheless, the suspicion remained that phosphate in some manner was entering into the reaction and that a phosphorylated intermediary was formed. As a first approximation, a coupling of this pyruvate oxidation with adenylic acid phosphorylation was attempted. 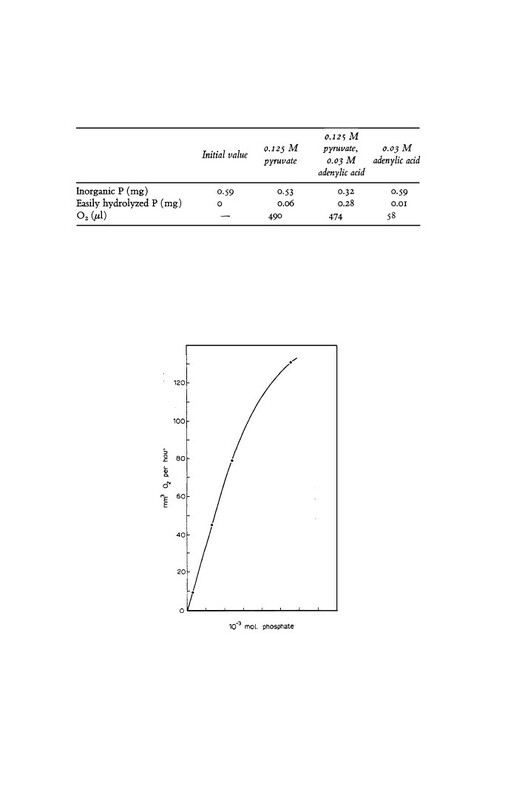 And,indeed, addition of adenylic acid to the pyruvic oxidation system brought out a net disappearance of inorganic phosphate, accounted for as adenosine triphosphate (Table 11). At the time when these observations were made, about a dozen years ago,there was, to say the least, a tendency to believe that phosphorylation was rather specifically coupled with the glycolytic reaction. Here, however, we had found a coupling of phosphorylation with a respiratory system. This observation immediately suggested a rather sweeping biochemical significance, of transformations of electron transfer potential, respiratory or fermentative, to phosphate bond energy and therefrom to a wide range of biosynthetic reactions7. There was a further unusual feature in this pyruvate oxidation system in that the product emerging from the process not only carried an energy-rich phosphoryl radical such as already known, but the acetyl phosphate was even more impressive through its energy-rich acetyl. It rather naturally became a contender for the role of “active” acetate, for the widespread existence of which the isotope experience had already furnished extensive evidence. I became, therefore, quite attracted by the possibility that acetyl phosphate could serve two rather different purposes, either to transfer its phosphoryl group into the phosphate pool, or to supply its active acetyl for biosynthesisof carbon structures. Thus acetyl phosphate should be able to serve as acetyldonor as well as phosphoryl donor, transferring, as shown in Fig. 3, on either side of the oxygen center, such as indicated by Bentley’s early experiments on cleavage7a of acetyl phosphate in H218O. acetyl transfer was much more complicated than anticipated. There are three distinct phases each of which has a distinct outcome. can be fed into many other pathways. Gluconeogenesis is directly connected to the pentose phosphate pathway. phosphate pathway) increases so does the activity of gluconeogenesis. The main molecule in the body that makes anabolic processes possible is NADPH. Because of the structure of this molecule it readily donates hydrogen ions to metabolites thus reducing them and making them available for energy harvest at a later time. The PPP is the main source of synthesis for NADPH. The pentose phosphate pathway (PPP) is also responsible for the production of Ribose-5-phosphate which is an important part of nucleic acids. Finally the PPP can also be used to produce glyceraldehyde-3-phosphate which can then be fed into the TCA and ETC cycles allowing for the harvest of energy. Depending on the needs of the cell certain enzymes can be regulated and thus increasing or decreasing the production of desired metabolites. The enzymes reasonable for catalyzing the steps of the PPP are found most abundantly in the liver (the major site of gluconeogenesis) more specifically in the cytosol. The cytosol is where fatty acid synthesis takes place which is a NADPH dependent process. The beginning molecule for the PPP is glucose-6-P which is the second intermediate metabolite in glycolysis. Glucose-6-P is oxidized in the presence of glucose-6-P dehydrogenase and NADP+. This step is irreversible and is highly regulated. NADPH and fatty acyl-CoA are strong negative inhibitors to this enzyme. The purpose of this is to decrease production of NADPH when concentrations are high or the synthesis of fatty acids is no longer necessary. The metabolic product of this step is gluconolactone which is hydrolytrically unstable. Gluconolactonase causes gluconolactone to undergo a ring opening hydrolysis. The product of this reaction is the more stable sugar acid, 6-phospho-D-gluconate. 6-phospho-D-gluconate is oxidized by NADP+ in the presence of 6-phosphogluconate dehydrogenase which yields ribulose-5-phosphate. The oxidation phase of the PPP is solely responsible for the production of the NADPH to be used in anabolic processes. Ribulose-5-phosphate can then be isomerized by phosphopentose isomerase to produce ribose-5-phosphate. Ribose-5-phosphate is one of the main building blocks of nucleic acids and the PPP is the primary source of production of ribose-5-phosphate. If production of ribose-5-phosphate exceeds the needs of required ribose-5-phosphate in the organism, then phosphopentose epimerase catalyzes a chiralty rearrangement about the center carbon creating xylulose-5-phosphate. The products of these two reactions can then be rearranged to produce many different length carbon chains. These different length carbon chains have a variety of metabolic fates. There are two main classes of enzymes responsible for the rearrangement and synthesis of the different length carbon chain molecules. These are transketolase and transaldolase. Transketolase is responsible for the cleaving of a two carbon unit from xylulose-5-P and adding that two carbon unit to ribose-5-P thus resulting in glyceraldehyde-3-P and sedoheptulose-7-P.
Transketolase is also responsible for the cleaving of a two carbon unit from xylulose-5-P and adding that two carbon unit to erythrose-4-P resulting in glyceraldehyde-3-P and fructose-6-P.
Transaldolase is responsible for cleaving the three carbon unit from sedoheptulose-7-P and adding that three carbon unit to glyceraldehyde-3-P thus resulting in erythrose-4-P and fructose-6-P. The end results of the rearrangement phase is a variety of different length sugars which can be fed into many other metabolic processes. For example, fructose-6-P is a key intermediate of glycolysis as well as glyceraldehyde-3-P.
Glycogen is a readily mobilized storage form of glucose. It is a very large, branched polymer of glucose residues (Figure 21.1) that can be broken down to yield glucose molecules when energy is needed. Most of the glucose residues in glycogen are linked by α-1,4-glycosidic bonds. Branches at about every tenth residue are created by α-1,6-glycosidic bonds. Recall that α-glycosidic linkages form open helical polymers, whereas β linkages produce nearly straight strands that form structural fibrils, as in cellulose (Section 11.2.3). Glycogen Structure. In this structure of two outer branches of a glycogen molecule, the residues at the nonreducing ends are shown in red and residue that starts a branch is shown in green. The rest of the glycogen molecule is represented by R.
Glycogen is not as reduced as fatty acids are and consequently not as energy rich. 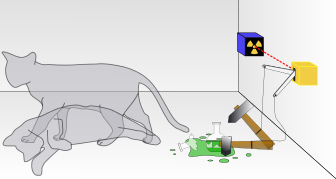 Why do animals store any energy as glycogen? Why not convert all excess fuel into fatty acids? Glycogen is an important fuel reserve for several reasons. The controlled breakdown of glycogen and release of glucose increase the amount of glucose that is available between meals. Hence, glycogen serves as a buffer to maintain blood-glucose levels. Glycogen’s role in maintaining blood-glucose levels is especially important because glucose is virtually the only fuel used by the brain, except during prolonged starvation. Moreover, the glucose from glycogen is readily mobilized and is therefore a good source of energy for sudden, strenuous activity. Unlike fatty acids, the released glucose can provide energy in the absence of oxygen and can thus supply energy for anaerobic activity. The first step in gluconeogenesis is the conversion of pyruvate to phosphoenolpyruvic acid (PEP). In order to convert pyruvate to PEP there are several steps and several enzymes required. Pyruvate carboxylase, PEP carboxykinase and malate dehydrogenase are the three enzymes responsible for this conversion. Pyruvate carboxylase is found on the mitochondria and converts pyruvate into oxaloacetate. Because oxaloacetate cannot pass through the mitochondria membranes it must be first converted into malate by malate dehydrogenase. Malate can then cross the mitochondria membrane into the cytoplasm where it is then converted back into oxaloacetate with another malate dehydrogenase. Lastly, oxaloacetate is converted into PEP via PEP carboxykinase. The next several steps are exactly the same as glycolysis only the process is in reverse. The second step that differs from glycolysis is the conversion of fructose-1,6-bP to fructose-6-P with the use of the enzyme fructose-1,6-phosphatase. The conversion of fructose-6-P to glucose-6-P uses the same enzyme as glycolysis, phosphoglucoisomerase. 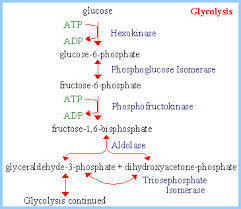 The last step that differs from glycolysis is the conversion of glucose-6-P to glucose with the enzyme glucose-6-phosphatase. This enzyme is located in the endoplasmic reticulum. Because it is important for organisms to conserve energy, they have derived ways to regulate those metabolic pathways that require and release the most energy. In glycolysis and gluconeogenesis seven of the ten steps occur at or near equilibrium. In gluconeogenesis the conversion of pyruvate to PEP, the conversion of fructose-1,6-bP, and the conversion of glucose-6-P to glucose all occur very spontaneously which is why these processes are highly regulated. It is important for the organism to conserve as much energy as possible. When there is an excess of energy available, gluconeogenesis is inhibited. When energy is required, gluconeogenesis is activated. The conversion of pyruvate to PEP is regulated by acetyl-CoA. More specifically pyruvate carboxylase is activated by acetyl-CoA. Because acetyl-CoA is an important metabolite in the TCA cycle which produces a lot of energy, when concentrations of acetyl-CoA are high organisms use pyruvate carboxylase to channel pyruvate away from the TCA cycle. If the organism does not need more energy, then it is best to divert those metabolites towards storage or other necessary processes. The conversion of fructose-1,6-bP to fructose-6-P with the use of fructose-1,6-phosphatase is negatively regulated and inhibited by the molecules AMP and fructose-2,6-bP. These are reciprocal regulators to glycolysis’ phosphofructokinase. Phosphofructosekinase is positively regulated by AMP and fructose-2,6-bP. Once again, when the energy levels produced are higher than needed, i.e. a large ATP to AMP ratio, the organism increases gluconeogenesis and decreases glycolysis. The opposite also applies when energy levels are lower than needed, i.e. a low ATP to AMP ratio, the organism increases glycolysis and decreases gluconeogenesis. The conversion of glucose-6-P to glucose with use of glucose-6-phosphatase is controlled by substrate level regulation. The metabolite responsible for this type of regulation is glucose-6-P. As levels of glucose-6-P increase, glucose-6-phosphatase increases activity and more glucose is produced. Thus glycolysis is unable to proceed.